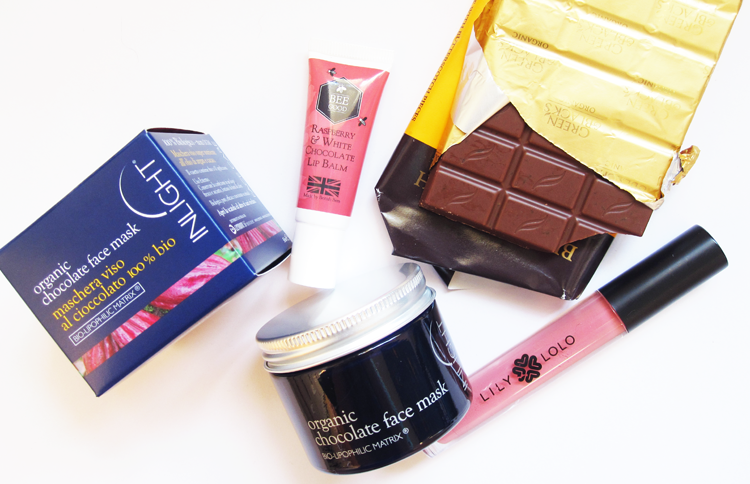 Chocolate Beauty Products for National Chocolate Week! I don't often go in for all of these 'National Day' of such and such stuff, but a whole National Chocolate Week? Hell yes! 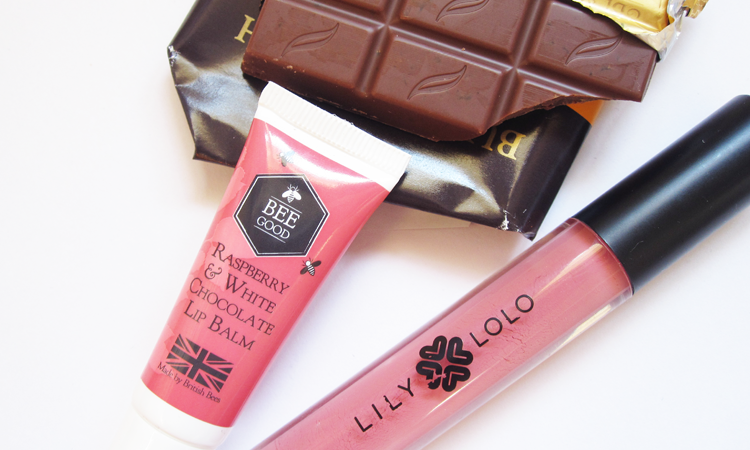 Here are three chocolate themed beauty products to indulge in. This was the winner of Bee Good's 'Great British Lip Balm' competition where they invited beauty bloggers to come up with a brand new flavour of lip balm. 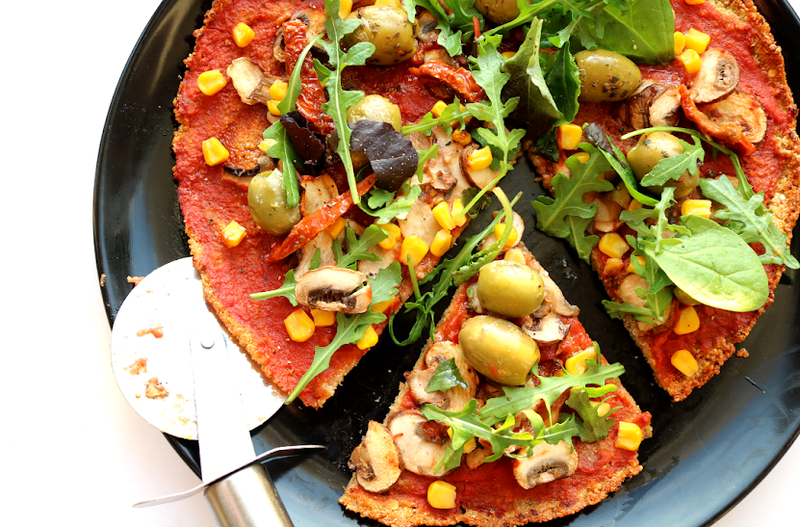 The public voted for their favourite and the winner was this delicious creation suggested by beauty vlogger Joseph Harwood. 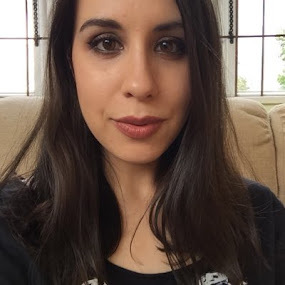 I've used Bee Good's Vanilla & Honey Lip Balm (see my previous Favourites post here) before, but I think I might like this one even more. It smells sweet with a berry fruitiness to it and the formula is super moisturising - a great one to stock up on with Winter on the way! 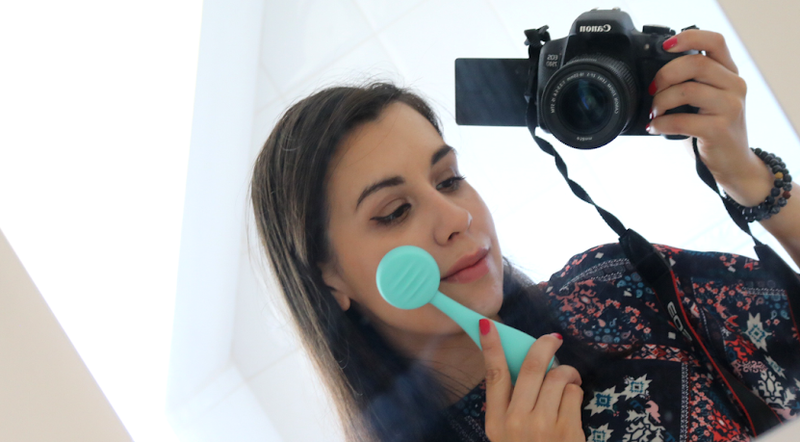 I often recommend the Lily Lolo to people who are looking for a more natural alternative to mainstream makeup brands. Their lipglosses have a lovely shade range and they're very reasonably priced for a green beauty product. Coincidentally, they are also subtly chocolate flavoured so I'm sneaking them into this post! The shade pictured is called English Rose and you can find my past review and swatch of it here. 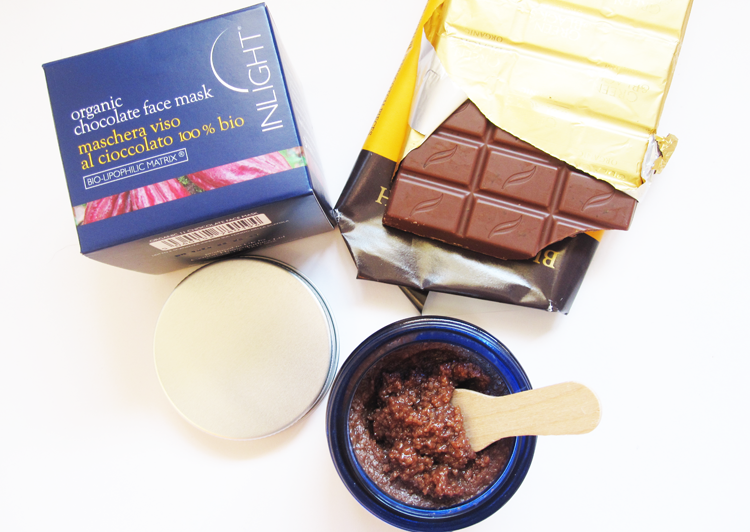 Chocolate and skincare aren't two things that I would often recommend combining but that was before I tried this organic face mask from Inlight. For those who haven't heard of Inlight before, they are a high-end natural organic beauty brand who sell a range of luxury artisan skincare. They've been on my radar for a while so I was thrilled to get the chance to try one of their products out. Their Chocolate Mask is 100% natural, waterless (so no need for any preservatives - its shelf life is 4 months) and it's also 100% organic (Soil Association certified). It's made with Inlight's unique 'Bio-Lipophilic Matrix' which the brand are famous for and this is essentially a blend of pure, cold-pressed organic plant oils which are 'energised' prior to the production process. Now I don't know about that, but I can say that this mask has worked very well for my skin so far. I've found it to be a great detox mask with an exfoliating element to it, so I've been reaching for it recently as I've been under the weather with a nasty cold and my complexion. as a result, has been frankly terrible. This has helped to calm down any inflammation and it's also done a decent job of clearing up a breakout on my chin. It's packed full of antioxidants, makes my skin feel silky soft afterwards and it smells like chocolate - what's not to love?! If you have the cash to splash, this is a fantastic luxury facial treat. 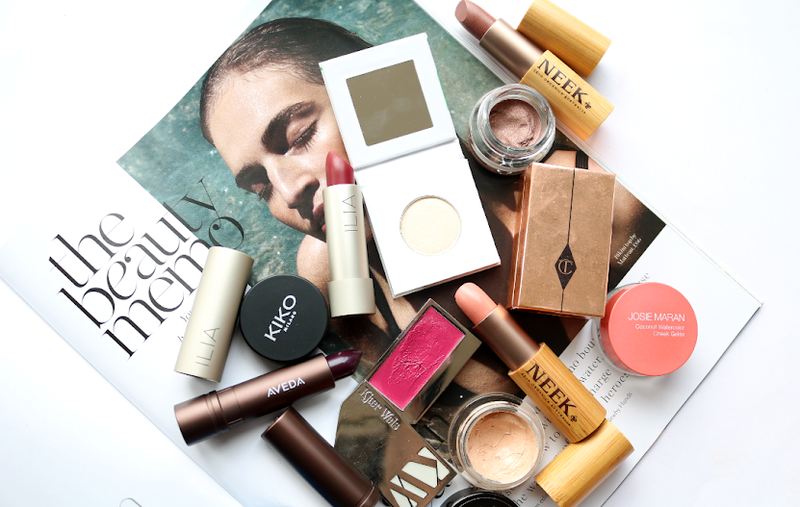 What are your favourite chocolate beauty products? I love these products..but I love Chocolate to! It s so good for the health! Wrote a post about chocolate..
Oooh I love chocolate! The Bee Good lip balm sounds beautiful!